Maira b is the most famous Pakistan designer. She produces the most elegant and beautiful designs in decent colors. She sets the trend in fashion. She always creates the unique designs. She chooses the prints and colors that suits everyone. Last days Maria b launched her new collection in an event in which many famous celebrities were present like Sana javed and nimra khan. 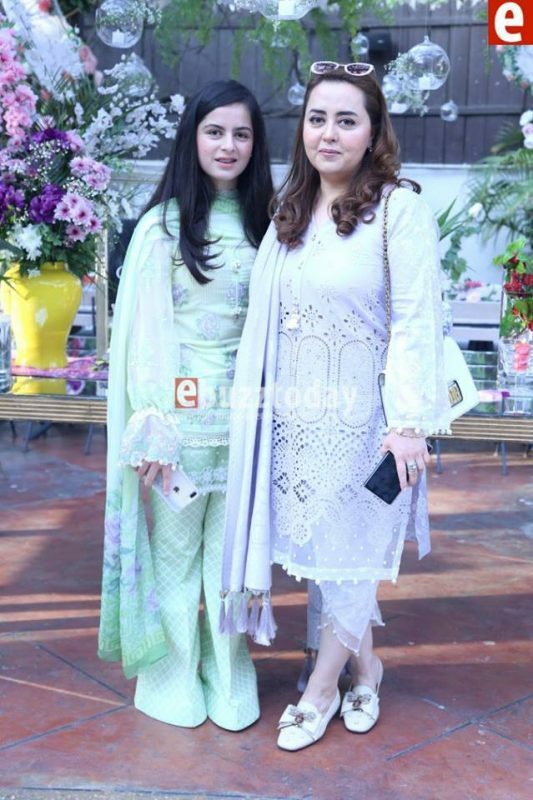 Maria b was with her daughter at the event, the combo of both mother and daughter is beautiful.